2008 World Brahman Congress Red Champion Female. One of our top three most significant young donors at the ranch is this female, VL Elena 170/4. Whether it is pedigree, production, or show ring accomplishment, she has it all. Her pedigree is filled with successful show winners, producers and more than seven Register of Renown and one Maternal Merit animals. 170/4 is a rare daughter of LB Mr. Windsor Manso and our legendary 2005 International Red Brahman Champion cow +VL Elena 60/2. 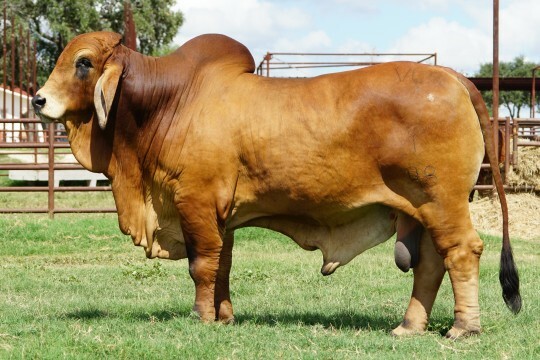 170/4 had a show career like no other American Red Brahman. 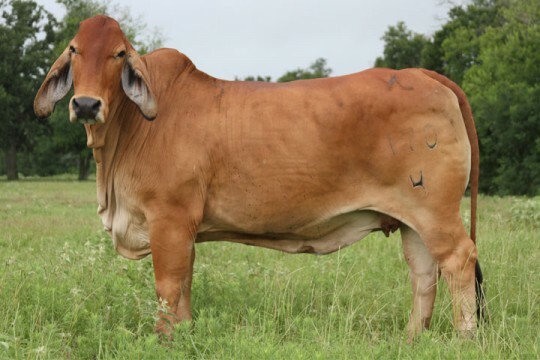 In 2008 she was named International Red Brahman Champion Female, as well as the 2008 World Brahman Congress Red Champion Female, and the Champion Red Brahman Female at the 2008 San Antonio Livestock Show and Rodeo. 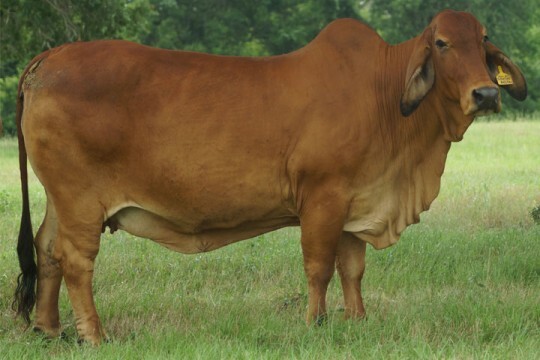 She exemplifies what to look for in a true red Brahman. She is a favorite of many of our visitors who find themselves captivated by her feminine appearance, her length of body, strong top, and breed character. 170/4 is the dam of VL Rojo Winchester 1/48, one of our favorite young herd sires who has already produced multiple calves for our show barn. 2008 World Brahman Congress Red Grand Champion Female.